Welcome to Clitheroe MOT, the only Repair, Mot and Service centre in the Ribble Valley and Hyndburn that specialise's in German Manufactured Cars. 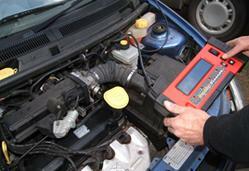 We offer the highest standards in Service, MOT and Repair at the most competitive prices. Call us today and book your next Service, MOT or Repair with us and you will not be disappointed.